Did you know? According to the Center for Disease Control, more than 36.5 percent of adults in the United States are obese. 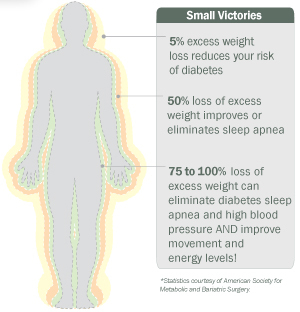 Roughly 30 percent of overweight people suffer from type 2 diabetes, and 85 percent of diabetics are overweight. What is obesity? The Body Mass Index (BMI) helps define obesity. It depends both on your height and weight. 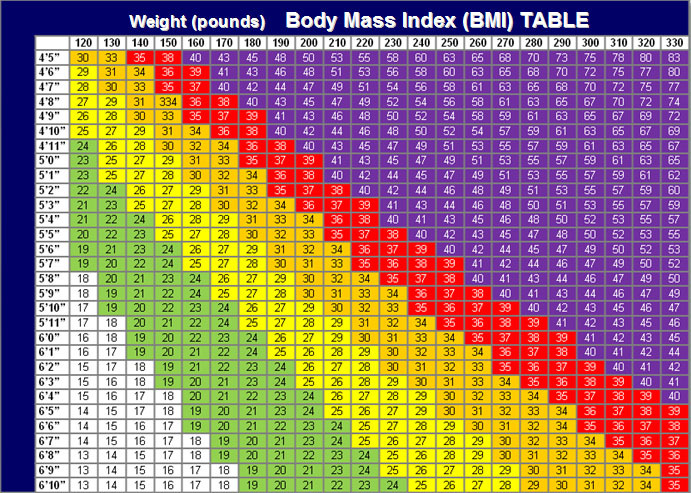 Click on the chart below to find your BMI. Who is considered obese? To be a candidate for surgical intervention, you need a BMI of 30 or greater. There are many types of weight loss strategies, including dietary intervention, physical activity, behavior modification, and drug treatments. When you have tried these options and none of them created lasting results, weight loss surgery can be the best choice. We perform three different types of procedures at Regional West: laparoscopic banding, gastric sleeve surgery and gastric bypass. Check out our procedure options for more information. What are some outcomes of Bariatric surgery?